At Notre Dame Collegiate we don't teach students about music. ​We teach students to music. Music can be a historical artifact that represents sound, such as the great works of Beethoven, Handel or Mahler, or the recordings of Louis Armstrong, Frank Sinatra, or Freddie Mercury. Music can also be an aesthetic experience, something that can be enjoyed on its own merits. Music can also be an induplicable experience, something that cannot be copied because it is never played in the same way with the same reasons and the same audience ever again, and therefore becomes a fond memory. In each of these cases, music is a noun. At Notre Dame Collegiate, music is a verb. 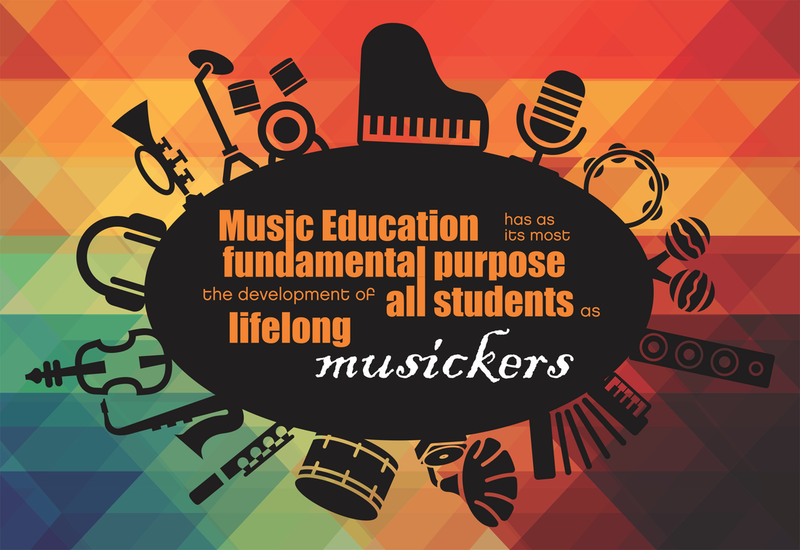 ​Therefore music education has as its most fundamental purpose the development of all students as lifelong musickers. Students engage in the activity of music-making, and learn through relevant contextualized musicking experiences to apply their musical abilities to their own identities and realities. In doing so students learn to love all of God's creation, regardless of background or experience, and interact with music to His glory. This is Music Education at Notre Dame Collegiate. Students learn to plan for and create meaningful musical experiences. Students document their creativity in writing and in recording. Students develop technical skill to perform for specific contexts. Students study relevant music by exploring the context of its creation. Students perform in a variety of contexts. Students analyze the purpose and messaging of musical activities. Students evaluate and assess musical performances and their effectiveness. Students interact with their audiences. Students link various contexts of music to their creation and their purpose. Students link musical activity to their own realities and musical identities.